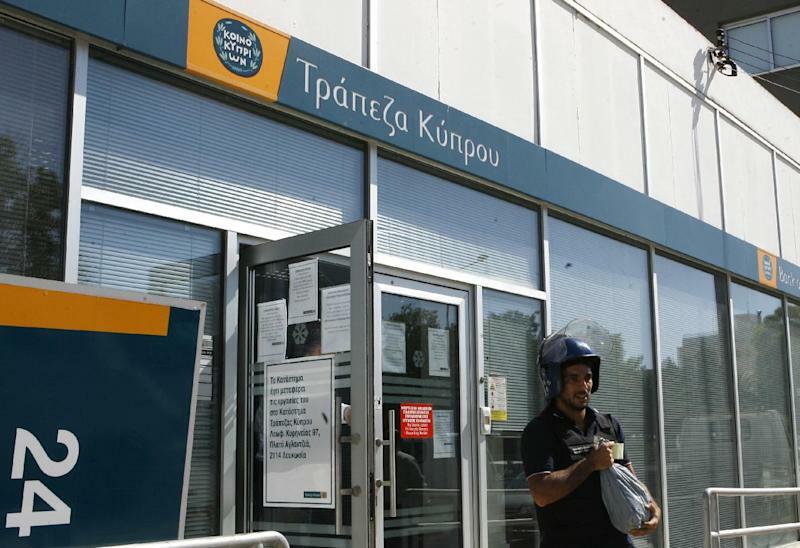 NICOSIA, Cyprus (AP) — Depositors at bailed-out Cyprus' largest bank will lose 47.5 percent of their savings exceeding 100,000 euros ($132,000), the government said Monday. The figure comes four months after Cyprus agreed on a 23 billion-euro ($30.5 billion) rescue package with its euro partners and the International Monetary Fund. In exchange for a 10 billion euro loan, deposits worth more than the insured limit of 100,000 euros at the Bank of Cyprus and smaller lender Laiki were raided in a so-called bail-in to prop up the country's teetering banking sector. The savings raid prompted Cypriot authorities to impose restrictions on money withdrawals and transfers for all banks to head off a run. Christopher Pissarides, the Nobel laureate who heads the government's economic advisory body, forecast Monday that the bank controls could be in place for another two years. "The (economy) has absorbed the initial shock and is moving ahead. We see things improving," he told reporters after talks with Cyprus President Nicos Anastasiades Monday. As part of the bail-in of Bank of Cyprus, depositors taking losses — estimated roughly at around 4 billion euros — will get shares in the bank. Those depositors hardest hit are pension funds belonging to employees for state-run companies, followed by private savers of which some of the biggest are Russians. 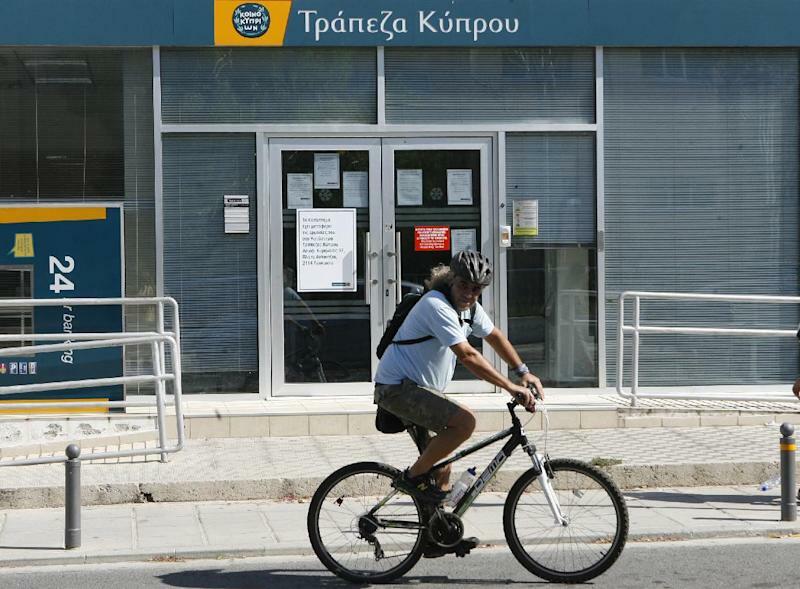 Depositors at Laiki, which is being wound down and folded into Bank of Cyprus, saw most of their uninsured savings wiped out and are unlikely to get any shares in Bank of Cyprus. The government insisted in negotiations with the Cyprus Central Bank and officials from the country's international creditors — currently conducting their first post-rescue deal assessment — that the Bank of Cyprus could remain afloat with less money from depositors. Government spokesman Victoras Papadopoulos said the most significant part of the Bank of Cyprus bail-in is that the lender has turned a corner in its restructuring process, allowing control of the lender to soon return to the hands of private shareholders. "This constitutes an important step in the stabilization of both the bank, and the Cypriot economy," said Papadopoulos. Bank of Cyprus officials say they a meeting of the lender's new shareholders will be convened in early September. The bank will complete its restructuring — which will see the departure of hundreds of employees either through voluntary retirement packages or layoffs — by the end of the same month. The Cyprus government is looking to the European Central Bank to provide a restructured Bank of Cyprus with as much liquidity as it needs to help turn the country's tanking economy around by lending to cash-starved businesses. Anastasiades last month warned ECB chief Mario Draghi that Bank of Cyprus' cash reserves were running dangerously low.